Anna has been working at Oak Road Dental Surgery since 2005. She qualified as a dentist in 2000 in Poland, where she worked for a number of years in private clinics. Anna loves the personal satisfaction she gleans from helping people and working with the public on a day to day basis. The area of dentistry she is most interested in is the cosmetic side and has a wealth of experience both practically and academically via the many courses and seminars she has attended over the years. In her spare time she loves to attend the gym and travel. Elaine Barry - BDS NU Irel 2004. Elaine graduated from University College Cork and worked for a number of years in Suffolk before joining the Oak Road Dental team in 2006. During the last few years she undertook a number of dental courses ranging from cosmetic to restorative dentistry. She enjoys treating patients of all ages to help build confidence in dental care and the variety in work that a family orientated general dental surgery provides. Devi qualified in 1998. She began her career as Senior House Officer in Oral & Maxillofacial Surgery and worked for three years at London, Stoke and Essex. She completed her fellowship MFDS at the Royal College of Surgeons Of England. Devi worked in general practice for a year as a Vocational Dental Practitioner and has been working as full time associate since then at our practice in Oak Road. Graduated with a dental degree from College of medicine University of Lagos. She registered to practice dentistry in UK in 2014. Kennie (Kehinde) has practiced in other general dental practices in South East Essex before joining us in 2016. She enjoys her job, takes time in getting to know her patients, treating them with care, respect & dignity & delights in restoring their oral health. She understands what it means to be a nervous patient and therefore aims to put nervous patients at ease & change their perception of dental treatment to restore their confidence. Lucy started her career in dentistry working as a dental nurse. She went on to complete a BSC (Hons) in Dental Hygiene and Dental Therapy, graduating in 2013 and has since completed a post graduate course in tooth whitening. She enjoy treating a range of patients, with particular interest in working with nervous and anxious patients to help them overcome their dental fears, build confidence and work together towards better dental, and overall general health. In her spare time she enjoy travelling and keeping active. Hawa qualified from the university of Cardiff as a Dental Hygienist in 2016. Since qualifying Hawa has spent her time working in implant focused practices and enjoys using the latest technologies to treat her patients. 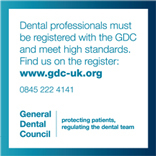 She is always looking to develop her skills further within dentistry. In her spare time Hawa likes to travel and spend time with family.